We’re very much looking forward to welcoming the Critical Music family back to Manchester for a takeover of Hidden, the first Critical takeover in a bit. Still consistently one of the most forward-thinking and prolific labels in Dance Music, they have just celebrated 15 years in the DnB game. 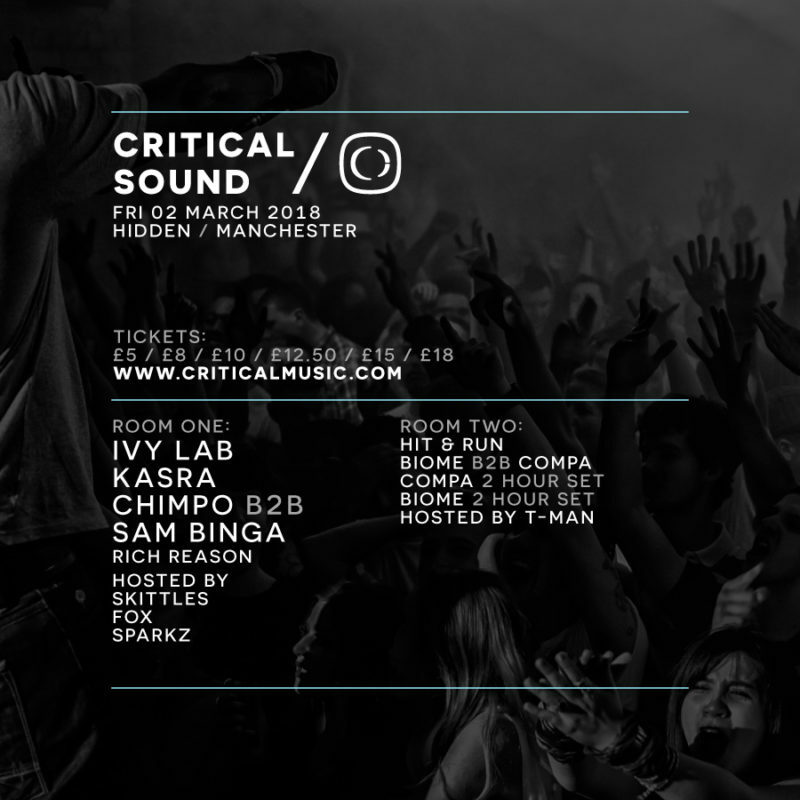 We have 4 HIT & RUN favourites in the form of Ivy Lab, Kasra Critical, Sam Binga and Chimpo in the Critical room, with hosting duties handled by LEVELZ lads MC Fox, SkittlesUk and Sparkz Mcr. In room 2, we have a back to back from 2 of Dubstep’s finest, in the shape of Biome and Compa.